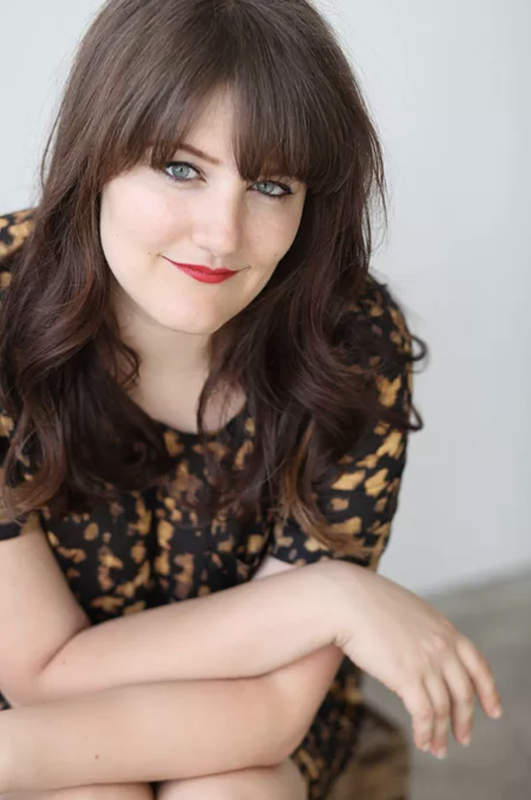 Before the Mystery Began: A Conversation with New York Times Bestselling YA author and Interlochen Arts Academy faculty member Brittany Cavallaro about who gets to tell the story and preserving aspects of the original Sherlock Holmes’ novels in her own adaptation. Brittany Cavallaro is the author of the New York Times bestselling Charlotte Holmes trilogy, as well as Girl-King, a collection of poetry. The hotly anticipated third book in her trilogy, The Case for Jamie, was released in March, 2018. Brittany teaches poetry and novel-writing at Interlochen Arts Academy and is also an alum of the Academy Creative Writing program. Brittany Cavallaro: One of the most important questions to me in approaching the Charlotte Holmes series was, who gets to tell your story? In the Sir Arthur Conan Doyle stories and novels, Watson is almost always the narrator—the reason being, if the genius detective were telling the story, there would be no room for the grand reveal at the end. Holmes instrinically observes and deduces too much for us to spend any meaningful time in his head if we want the mystery to unfold as it should. Because of that, we only really get to see and understand Holmes from Watson’s perspective, even though the detective is inarguably the main character. But of course, no one person knows another completely. Some of the pleasure in the Holmes stories is, I think, seeing such an eccentric, difficult person from a distance—albeit still through the eyes of someone who admires them, who considers them a dear friend. And still, Watson doesn’t know what’s going on in Holmes’s head. We get all of this through the ‘stories’ we’re told Watson is writing, these written accounts of their adventures. We’re not following along in real time. So there’s an additional layer of distance there, more opportunity for revision and reimagination. In terms of switching between genres—I can’t comfortably work on a novel and on a series of poems simultaneously, though I wish I could. My primary focus these past few years has been fiction. It’s a practical thing; if I have writing time, I need to prioritize the project that is due in to my editor. That said, in the past few months especially, I’ve been sneaking in some time to work on poems. I’m chalking it up to being inspired by all the amazing student poets here at IAA. BC: A really important goal for me, in writing the Charlotte Holmes novels, was to take all of the flaws and vices of the original Sherlock Holmes—the drug dependency, the overbearing archness, the claim to ‘not have feelings’—and to see what happened when we mapped them onto a teenage girl. Would they still be likable then? Fun? Would we want to take her seriously, or would we take care of her, or would we get out of her way and let her do what had to be done? And, ultimately—would she make us angry, where the original Sherlock Holmes made us fall in love? BC: I was a terrible full-time writer. I always hesitate to admit to this, because it was something I had wanted for myself for years. But I had gone straight into my MFA from undergrad, and from my MFA into my PhD. Ultimately, I spent every year of my adult life balancing my creative work with my teaching and my academic interests. When I stepped away from that to work on the Charlotte novels full-time, I found myself at a bit of a loss. My only job was to write, and so, if I had a bad writing day—if the words were difficult or the words were coming out wrong or we had a small domestic emergency that meant there wouldn’t be any words at all—I had a bad day, full stop. And also, you can begin to feel very, very “Yellow Wallpaper” if you’re sitting alone in your room all day, staring at a blank screen. Or at least you can, if you’re me. I mention this because I think it can be jarring to get the thing you’ve always thought you wanted and then to not want it anymore. Becoming a full-time writer is a benchmark for a lot of people, and for good reason—it can be amazing to dedicate yourself entirely to your writing. But it made me place a lot of undue pressure and expectation on something I loved, and that, in turn, transformed the thing I love into an obligation. I spent all academic year looking forward to the summer, when I would be back in the classroom, teaching advanced creative writing courses to gifted teen writers, and that told me something about what I should be doing. The opportunity to come back to Interlochen, to spend all year working with passionate, talented young writers—it was a dream come true. I’m not sure just yet how this experience will change my writing for young adults. The cornerstone of my pedagogy—how I think about my teaching—and my YA writing has always been to take teenagers seriously. In what they say about themselves, in what they say about the world. I respect them as artists and as writers. And I’ve recommitted to that idea being here at Interlochen. It’s a privilege.